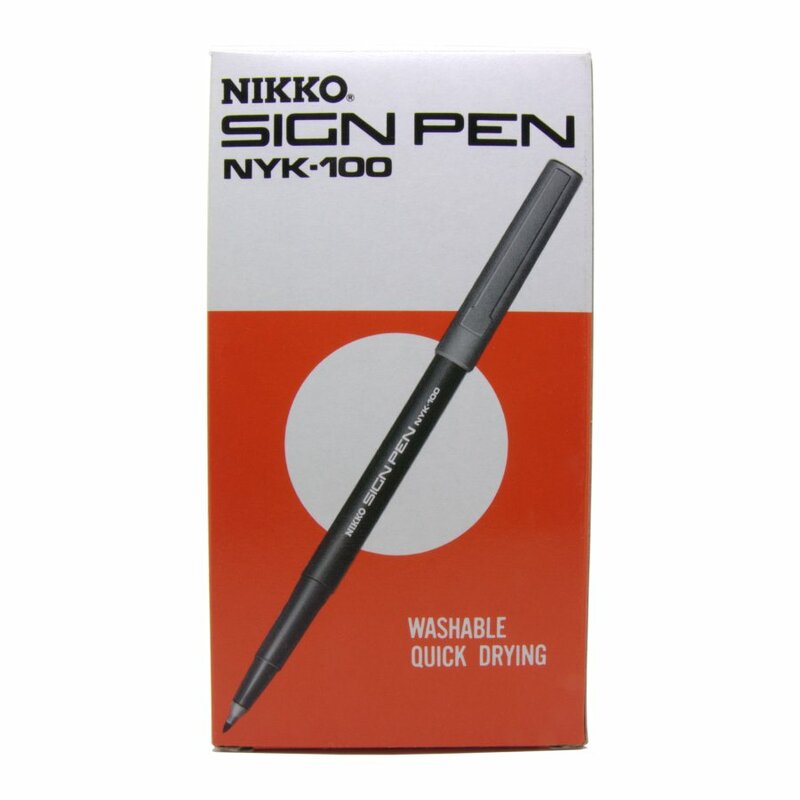 Nikko NYK-100 Sign pens have a durable fiber tip that is designed for effortless writing and signing. 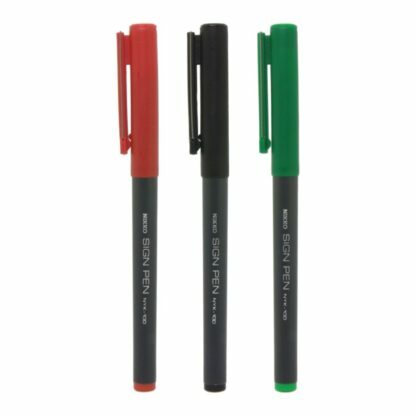 The fiber tip can be used like a firm brush, making them suited for CJK (Chinese, Japanese, Korean) characters or any illustrations. 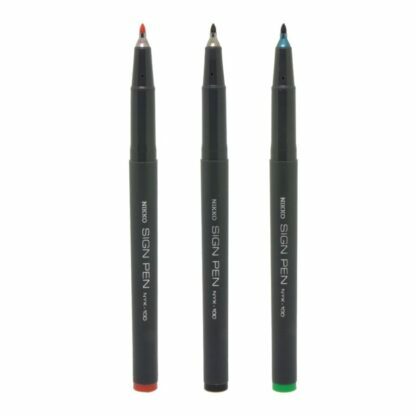 They are quick drying and draw a 0.7mm to 1.0 mm width line depending on the angle and the pressure applied. The ink is a non permanent water based ink that can be washed off. 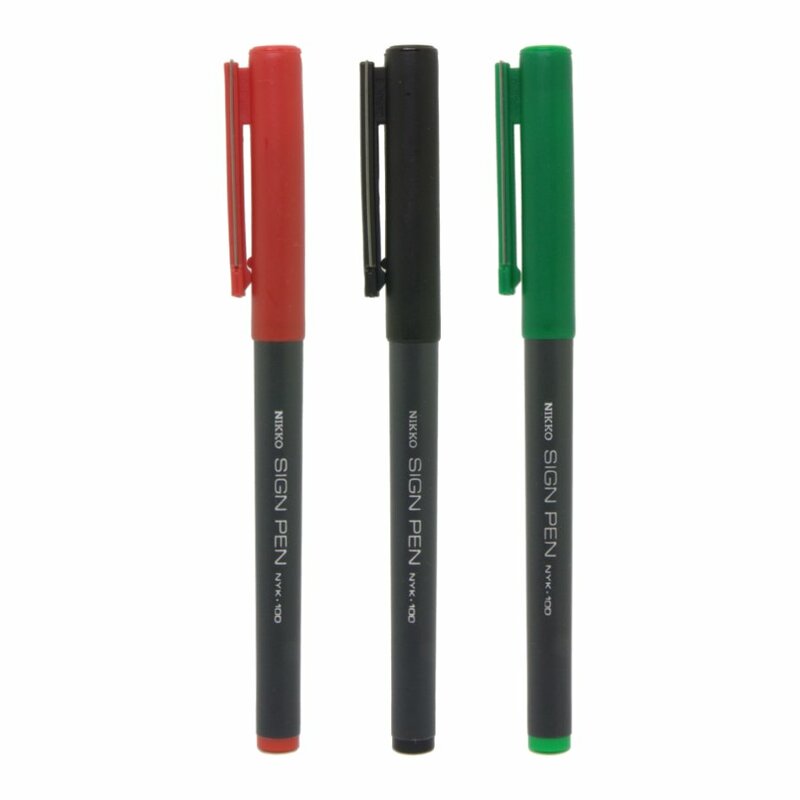 Available in black, blue* and red and quantities of 6, 12 and 18. 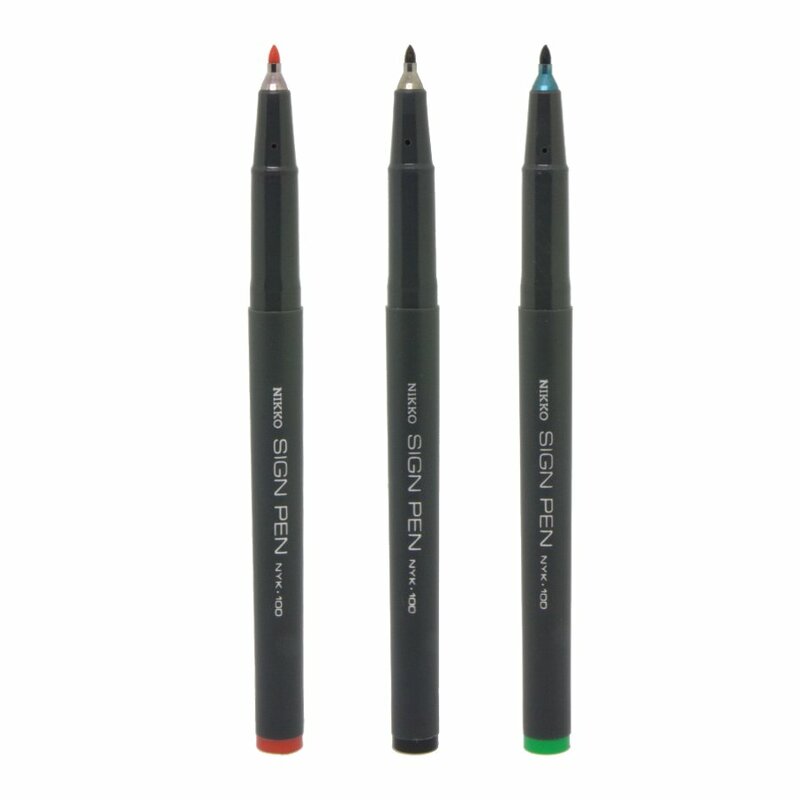 Ideal for graphics, drawing, illustrations and bold lines. 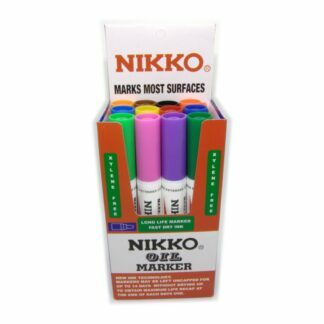 Non toxic water based ink. 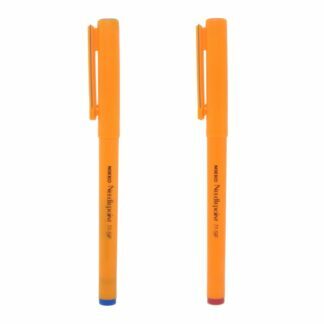 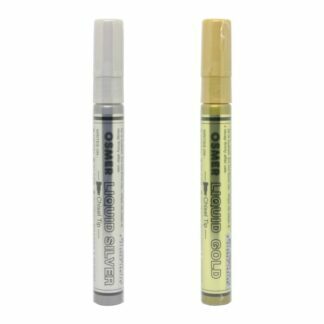 * The blue sign pens have been packaged incorrectly with green lids and end caps.